Back in the book of Exodus we met Miriam, Moses’ older sister. Today in the book of Numbers she is back for a part 3! In Numbers 12 we get to see a different side of Miriam. A not so pretty side. I think it’s relevant because we all have not so pretty sides. You know those faults and weak moments you wish you could erase from time and space. Yup, I would categorize Miriam’s choices in Numbers 12 as one of her top 5 regrets. Verses 1 and 2 set up the scene. “Miriam and Aaron began to talk against Moses because of his Cushite wife, for he had married a Cushite. 2 “Has the Lord spoken only through Moses?” they asked. “Hasn’t he also spoken through us?” And the Lord heard this.“. The book of Exodus is quite adventure filled. Moses is kept hidden from Egyptian authorities during a Hebrew baby boy genocide. He then gets adopted by the daughter of the Egyptian pharaoh. He runs away gets married and comes back to Egypt to partner up with his brother Aaron in the mass exodus of the Hebrew people out of slavery. Intertwined between these main ideas are some pretty unbelievable details. Moses meets God in a burning bush, God brings a ton of pretty gross and even gruesome plagues to the people of Egypt, God even separates the Red Sea in order to clear dry land for His people to make their escape. Throughout his journey there have been several women in Exodus who should be mentioned. Catch up on HELLO WOMEN OF EXODUS here. I’m back! After a bit of a blogging break, I think Nano Poblano took the wind out of me and I hadn’t noticed until I wasn’t blogging daily. You ever get tired of waiting on God? I missed my weekly Friday Women of the Bible post last Friday. But the week before that I posted Zipphorah Part II on Moses’ wife. Today I introduce to you Elisheba, Aaron’s wife. I love her name. I like the way it sounds in my mind. LOL…. because let’s face it, if I try to pronounce it out loud I’d probably butcher it. In Exodus 6:23 we learn that she is the daughter of Amminadab and sister of Nahshon. After doing some cross referencing we can see that Elisheba was actually a descendant from the tribe of Judah. However weird this may sound… it seems so romantic to me that Aaron, descendant from the tribe of Levi, and Elisheba, descendant from the tribe of Judah, would end up together. She must have been a strong woman to be the wife of one of the two men challenging the pharaoh of Egypt. She had 4 children with Aaron. I imagine her as a warrior for some reason. A no nonsense, strong willed, God fearing, Hebrew woman. I’m encouraged by Elisheba. She reminds me that’s it’s OK to be a strong woman. Last week we met Zipporah, Moses’ wife. Today I want to continue sharing her story with you however the post will be short due to Nano Poblano and my posting everyday this month. 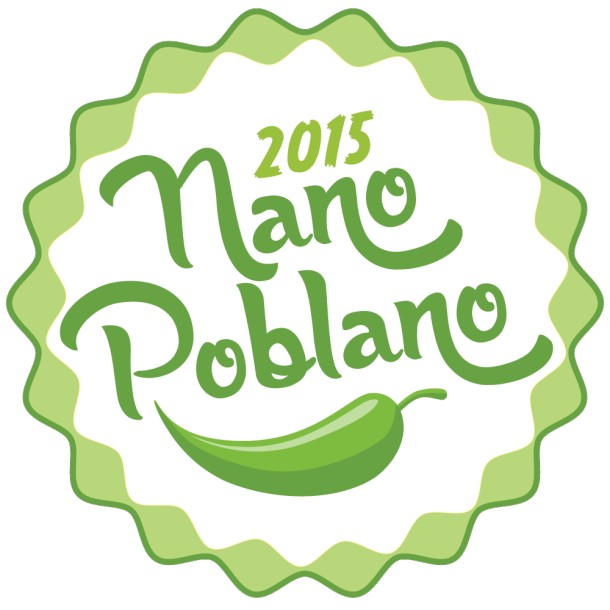 I hope you’ve been checking out my Nano Poblano posts. In Exodus 4 we see Zipporah again. This time she is protecting her husband from death. You see the Hebrew covenant called for all baby boys to be circumcised. Zipporah however was not Hebrew and she did not have her son circumcised. Time was passing and Moses has an encounter with God who calls back to Egypt to lead his people out of slavery. Moses reluctantly accepts the call and let’s his father in law know that he would be going back to his birth-land. So Zipporah backs their bags and accompanies Moses back to Egypt. However on the way there Moses nears death. According to commentaries it seems that Moses’ near death experience could have been the result of overwhelming stress due to the fact that his son was uncircumcised. Basically his conscious was literally driving him crazy to the point of death. I love that Zipporah jumped into action at the sight of her husbands torment. Commentaries also suggest that the son hadn’t been circumcised at her request. So that fact that she turns around and swallows her pride to save her husbands life speaks volumes. Zipporah circumcised her son herself and immediately took the bloody proof to Moses. Yup, she saved his life! Maybe she caused the problem to begin with but when she realized the harm done she corrected her mistake. Let’s take her story as an example. Let’s correct our mistakes. Let’s stay humble and not allow our pride to be the cause of torment in other’s lives. Dear Jesus, help us to be aware of our mistakes. Help us to discern your sovereignty in our lives. I pray that every reader and I may be able to humble ourselves and accept responsibility for our actions. Help correct our mistakes. Please do not allow our pride to hurt others or ourselves. Thank you for your grace and mercy. In Jesus’ name, Amen. Memory Verse: Proverbs 28:13 Whoever conceals his transgressions will not prosper, but he who confesses and forsakes them will obtain mercy. I’m excited that this post was under 500 words… woot woot!!! 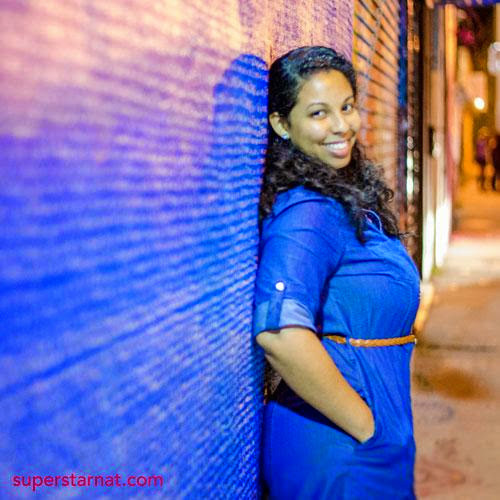 I hope you enjoyed last week’s guest blogger, Sarah! If you didn’t get a chance to read that post then click here. Also, I highly encourage you to check out her blog as her words are so real and encouraging, click here. Today we continue our journey through Exodus. It just so happens that Moses had quite a few women in his life. So far we talked about his biological mom, his adoptive mom, and his big sis. Today we focus on his wife, Zipporah in Exodus 2:15-21. At first glance Zipporah seems like a character to be quickly over looked. The first time she is mentioned we don’t know her name. She is just one of seven sisters, the daughters of the Midian priest, Reuel. The sisters were out doing their daily chore of watering the family’s flock when Moses showed up. LOL I bet it was unusual for them to see random guys coming up to the well. Especially when this random guy became their knight in shining armor. The problem was that the men of that area didn’t want to share the water with them. Who knows why… I really can’t imagine it was a quantity issue as much as it was a gender equality issue, but that’s just my opinion. Anyhow, Moses defended the Midian sisters and got water for their flock. They go back home singing his praises and tell their dad about the foreigner who saved the day. Of course Reuel wanting to thank the one who helped his daughters tells them to go back and invite him over for dinner. He accepts the dinner invitation. Moses didn’t just get dinner he also got a wife. In verse 21 we learn the lucky sister is Zipporah, Moses’ new wife. This creates so many questions in my mind. The book of Exodus is all about how Moses, a Hebrew boy, who should have died was saved from the Nile river by the very daughter of the one who ordered his death. This same Moses then grew up to lead the Israelite people out of captivity in Egypt alongside his brother Aaron and his sister Miriam. So far in the series Women of Exodus we have seen some very courageous midwives who refused to murder infants. We met Moses’ biological mother and his adoptive Egyptian mother. Today I want to take a close look at his older sister, Miriam. She plays a great part in the story of the Hebrews’ exodus out of Egypt. She can very well be one of the most important women of the Old Testament. I’m so excited to take a look at her life and share her story with all of you. We first meet Miriam in Exodus 2:4 His sister stood at a distance to see what would happen to him. A couple of weeks ago I introduced the book of Exodus with, HELLO SHIPHRAH AND PUAH. Maybe you’ll remember that these ladies were midwives who stood up to pharaoh. The pharaoh in Exodus was more ruthless and a bit of a coward compared to the pharaoh in Genesis who was generous and respected God’s people. The new pharaoh wanted to suppress the people of Israel who resided in Egypt. He did so by condemning all new born baby boys to death. How disgusting is that?! The following week I spoke about Jochebed. She was a Levite woman who was brave and sacrificed her safety in order to save her son’s life. Today I want to tell you about the Egyptian woman mentioned in Jochebed’s story. That Egyptian woman was pharaoh’s daughter. The evil pharaoh had a not so evil daughter. We can see her goodness come through in Exodus chapter 2. Exodus 2: 5 Then Pharaoh’s daughter went down to the Nile to bathe, and her attendants were walking along the riverbank. She saw the basket among the reeds and sent her female slave to get it. 6 She opened it and saw the baby. He was crying, and she felt sorry for him. “This is one of the Hebrew babies,” she said. The first characteristic we see is that she was compassionate. She felt pity for the poor child that was doomed to drown in the river. The story continues and in verse 9 pharaoh’s daughter shows mercy. She literally saved the boy’s life. 9 Pharaoh’s daughter said to her, “Take this baby and nurse him for me, and I will pay you.” So the woman took the baby and nursed him. In verse 10 she demonstrates a generous heart. 10 When the child grew older, she took him to Pharaoh’s daughter and he became her son. She adopted the child knowing that otherwise he would be murdered. She was offering him a life that would be far better than the life of a slave under her father’s rule. Overall pharaoh’s daughter exhibits all of the qualities that her father was lacking. She saved a Hebrew while her father was attempting to murder all of their baby boys. She also was kind and caring. Without knowing it she harbored the one who would be used by God to set the Israelites free from pharaoh’s reign. Honestly, my main take away is that you do not have to inherit the negative qualities of your parents. I know I sometimes think about my parents and their qualities. I consider the ones that I want and the ones that I struggle internally not to take as my own. We don’t have to be full of worry, negative, doubtful, bitter, and unforgiving, a quitter or any other negative trait you can think of. As a matter of fact. Take a minute and think about what that characteristic is. Do you see it in your mind? I DO NOT have to be (insert negative quality here) like my mom/dad. Did you do it? Do you believe it? I want to expand my faith that it may cover you and help you believe. Like pharaoh’s daughter, let’s not take on the poor mindsets or attitudes of those before us. Instead let’s choose to inherit their positive qualities and add the ones they are missing which we want to pass down to the generations coming after us. Jesus, I pray that you may give us the courage to change. Help us identify the qualities that can easily stick to us but which would not give you glory. Help us to honor our parents by praying to you for their healing. Help us to reflect you in all that we do with our lives. That the generational curses may end with us. That we may not continue passing down destructive cycles, be it of worry or bitterness. Jesus, thank you for your word that is rich and complete. I pray that as we learn from it, it may renew our minds and satisfy our spirits. In Jesus’ name, Amen. If you’re enjoying this blog click here and subscribe to the Newsletter for a more personalized message from yours truly. Come back next week for HELLO MIRIAM! !